Over 450 multifamily investors attended the Old Capital Speaker Series presentation on March 28th at the Grapevine Convention Center. 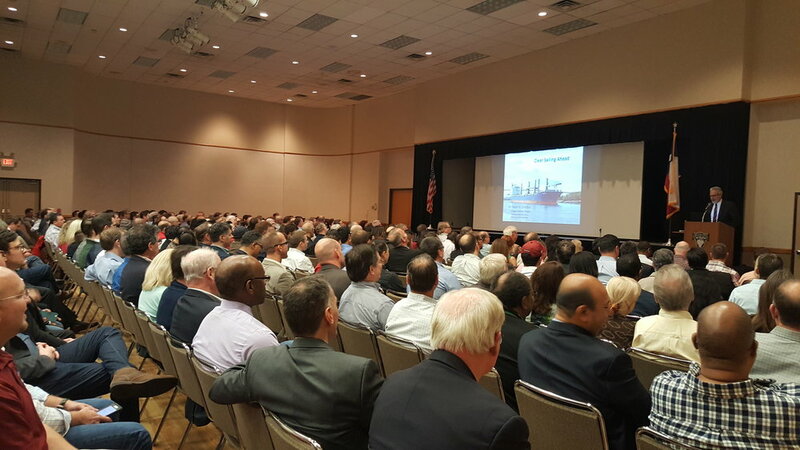 Mark Dotzour, one of the top economist on the Texas economy, delivered a presentation titled “Clear Sailing Ahead”. 1) Current expansion is 105 months (June 2009-March 2018), which is the 3rd longest ever. Longest was 120 months (March 1991-March 2001) and 2nd longest was 106 months (Feb 1961-Dec 1969). 2) States with the most employment growth in 21st Century: Texas (+2.7MM jobs), California (+2.0MM), and Florida (+1.8MM). States with least: Michigan (-377K), Ohio (-125K), Illinois (-56K). d. Over 5.8MM job openings in US with unemployment at 4%. a. Short term interest rates (federal funds rate currently 1.50%) increase too fast and end up higher than 10 year treasury (currently 2.80%).